Laura is a British Wheel of Yoga Teacher who has been teaching in South West London for over 10 years. She comes with a wealth of experience, having taught people from all walks of life: from teenagers, the chronically and terminally ill, to professional sportsmen and women, the elderly and long distance runners. Laura’s relatively recent love of barre adds yet another string to her already impressive bow. She adapts her teaching from therapeutic 1-2-1 classes, to group meditation courses, yoga for fertility, yoga for insomnia – and right at the other end of the scale, an energising Fusion workout, incoporating the best of barre with many of these influences. Laura encourages the development of strength and stability in her teaching, and believes that it is from this strength that we can hold ourselves with grace and ease. 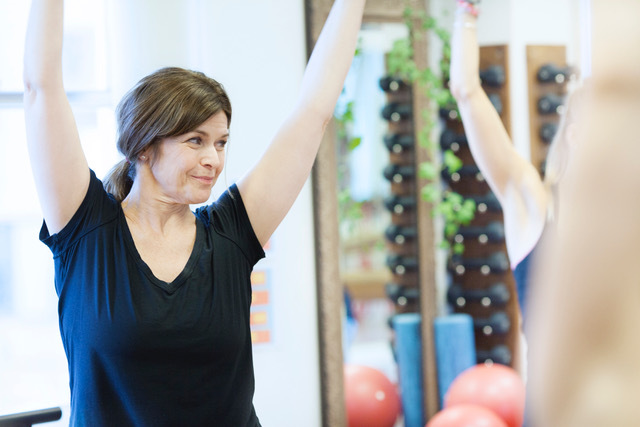 She makes the inaccessible accessible for everyone, and adapts the practice to the individual – the perfect approach for our boutique Studio setting and limited class sizes.